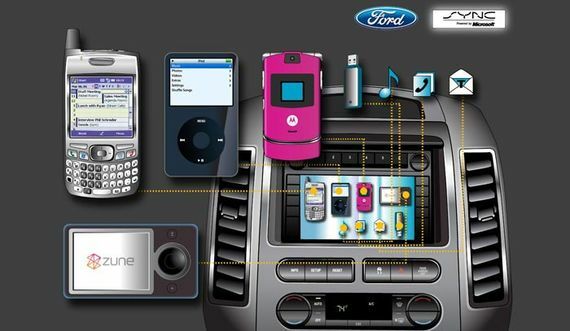 Ford and Google have just made things a whole lot easier for the directionally impaired with the “Send to SYNC” service–a feature that allows drivers to beam directions from Google Maps to Ford SYNC-enabled vehicles. The service, set to launch later this month for 2010 and 2011 SYNC-equipped cars, allows users to send destinations from Google Maps to their vehicles using a “send” menu on the Maps site. Ford and Google use traffic information to calculate the optimal route in the cloud before downloading information to the vehicle. Once the information has been downloaded, SYNC can read directions aloud. relative to the car. The app’s OnStar feature also will allow drivers to find locations on Google Maps via voice and beam destinations to the in-vehicle OnStar screen.